At the same time, there is also a resigned determination here reminiscent of Samuel Beckett’s The Unnamable: “You must go on. I can’t go on. I’ll go on.” Just because an enterprise is doomed to failure doesn’t mean it’s not worth undertaking. The fact that something is impossible doesn’t necessarily mean we should cease striving towards it. Few would suggest we give up on education or government however much they, too, are destined to “unsatisfying results.” Like Sisyphus, we roll the stone up the hill once more. 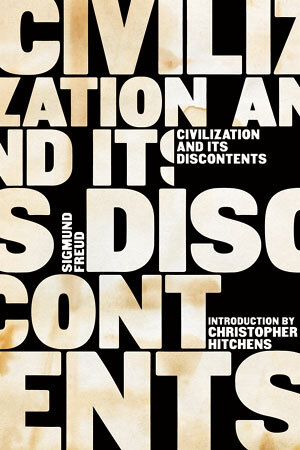 What is interesting is that, for all the confident tone of Freud’s earlier writings, in which he presents himself as the heroic scientist or explorer uncovering an entire new world, failure was always inscribed into the heart of psychoanalysis. Famously, he seldom held up much hope for a cure to the human condition or the various psychological maladies that afflict us. 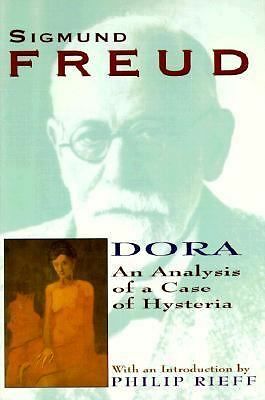 As early as Studies in Hysteria (1895), the most that he felt able to promise was to transform “hysterical misery into everyday unhappiness.” Moreover, his first published case study, Dora: An Analysis of a Case of Hysteria (1905), ostensibly presented as the confirmation of certain of Freud’s insights on dream analysis and symptomology, is also manifestly a narrative of a failed analysis. After a mere couple of months, the patient gives up on the treatment as though quitting a bad habit at year’s end: “she said good-bye to me very warmly, with the heartiest wishes for the New Year, and–came no more” (100). Not that Freud is all that apologetic for his failure with Dora. If anything, quite the contrary: he takes her decision to break off the analysis as confirmation of his interpretation of her symptoms, and of his theories in general. For the problem with Dora is her “craving for revenge” (101), exacted against all those who show her affection. She treats those around her (particularly the men) with what Freud calls “an almost malignant vindictiveness” (96). No surprise, then, that he should characterize her behavior with him as “an unmistakable act of vengeance on her part” (100). That is just how she is. And the fact that Freud should be receiving the same treatment as she doled out to her mother, her father, and family friend “Herr K.” merely demonstrates that the analysis is working, and that transference is setting in. After all, Freud concludes, “No one who, like me, conjures up the most evil of those half-tamed demons that inhabit the human breast, and seeks to wrestle with them, can expect to come through the struggle unscathed” (100). There are some harsh words here reserved for Dora. It is as though it were a case more of exorcism than of therapy. No doubt the young woman in question would have her own choice words to say in return. But she is damned if she does and damned if she doesn’t: continuing the analysis legitimates her treatment as much as breaking it off also ended up doing; when she is on the couch, all her protestations are taken simply as instances of denial. And at the end of the day, when this “talking cure” is written up, it is Freud who does all the talking (and none of the cure). The sad irony is that the reason Dora comes (or is brought) to Freud in the first place concerns a story she tells that nobody will believe. She has been out for a stroll with an older man (Herr K.), who apparently propositioned her, getting a slap across the face for his efforts. K., who is married (though in a somewhat sordid ménage a quatre his wife turns out to be Dora’s father’s mistress), vehemently denies that anything of the sort took place. And though Freud believes Dora’s story, he does so only to turn the tables on Dora’s own denial that she was interested in K. Isn’t she secretly in love with him after all, the analyst asks? Doesn’t she turn him down only because she was jealous that he had (it seems) earlier also tried to force himself on his family’s governess? Or was she simply playing hard to get? After all, she didn’t even mention the scene until a fortnight afterwards, as she was waiting “so as to see whether he would repeat his proposals; if he had, [she] would have concluded that he was in earnest, and did not mean to play with [her] as he had done with the governess” (98). K. himself, meanwhile, can hardly be blamed for being disappointed at Dora’s apparent rejection of him: surely “he must long before have gathered from innumerable small signs that he was secure of the girl’s affections” (39). All this has understandably raised the hackles of feminists. Not least because it goes against the grain of the prevailing mantra by which men are (rightly) reminded that women’s agency should be respected: “No means no.” What to do then with a psychoanalytic theory that claims so definitively that “there is no such thing at all as an unconscious ‘No'” (50) and that therefore advises the “inquirer” not to “rest content with the first ‘No’ that crosses his path” (18)? One response might be to suggest that there is a distinction between an encounter by a lake (or in a bar or wherever) and the analytic couch. Out and about, in normal circumstances, we should take a “no” at face value; perhaps therapy presents a space where such denials can and should be questioned and challenged. But how distinct are those two settings really? Isn’t the danger that the analyst repeats the traumatic situation that inspired the call for help (and this is manifestly his aim: “a whole series of psychological experiences are revived” through transference ) only also to replicate the cultural prejudices that were the true source of the trauma… “You did want it, didn’t you?” There are few points at which Freud, for all his scandalous iconoclasm, more clearly reveals himself to be a man of his time, and psychoanalysis to be an agent of normalization and (ultimately) repression. So no wonder its work is never done: as analytic theory itself tells us, repression is never either total or complete. It was Marx’s 188th birthday yesterday, as s0metim3s, carlos rojas, and Steven Shaviro, among others, note. I hope to write up something apropos before long. But it is Freud’s today. And old Sigismund would be 150 were he still alive, which is quite a milestone by anybody’s standards. Freud often compared the unconscious to buried ruins, and the task of the analyst to that of the archaeologist, uncovering ever deeper strata for the prizes hidden in the depths, clues to the ways of life only dimly discerned from mere surface inspection. But in a late essay, Freud turns this metaphor on its head. In “A Disturbance of Memory on the Acropolis,” ruins stand for what is clearly in view, in front of the analyst’s face. And the issue here is why what is so straightforwardly visible, uncompromisingly material, should be strangely denied or disavowed. Written in 1936, “A Disturbance of Memory” is in fact a kind of birthday present, dedicated to the Nobel Prize-winning writer Romain Rolland “on the occasion of his seventieth birthday.” And age, old age, is a constant theme. 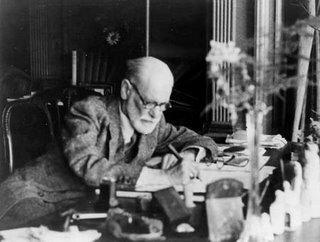 Freud notes that he himself is “ten years older” than Rolland, and that his “powers of production are at an end” ( On Metapsychology 447). There is, therefore, from the outset a melancholy note sounded, a lament for times past and fading strength. The essay’s topic is a recollection from 1904 (“a generation ago” ) that has “kept on recurring to [his] mind.” It concerns a trip Freud took with his brother, a holiday south to the Mediterranean, first to Trieste, with the intention of continuing on to Corfu. In Trieste, however, the brothers’ plans changed. A business acquaintance advises against Corfu and strongly suggests that the two sail for Athens, instead. For some reason, this suggestion provokes in the two travellers “a discontented and irresolute state of mind” (448). Yet, almost unconsciously (“as though it were a matter of course”) they book a passage for Athens, and soon enough set out to see the sights. The ruins are an instance of what is incontrovertible, plainly in front of Freud’s face, but whose reality for some reason some part of him chooses to doubt. What should be a source of affirmation (“delight or admiration”) becomes instead the occasion for a deep scission within the self. And Freud goes on to describe this as “a ‘feeling of derealization’ [‘Entfremdungsgefühl’]” (453). This derealization is itself, of course, another mode of denial, of repression. And Freud notes that it is the mirror image of the fantasy, or the “hallucinations,” more readily associated with psychic disturbance, and indeed with Freudian theory. Where a fantasy conjures up the unreal, the delusion, its counterpart derealization conjures away what is plainly real. And if fantasies are always images of possession, of incorporation, “in the derealizations we are anxious to keep something out of us” (453); “they aim at keeping something away from the ego, at disavowing it” (454). 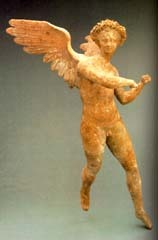 But Freud observes that what is “truly paradoxical” about his own behaviour on the Acropolis is that, far from denying or repressing a trauma or displeasure, his defence mechanism serves to ward off “something which, on the contrary, promises to bring a high degree of pleasure.” At last, a dream attained: why deny it, as though it were “too good to be true” (450)? And Freud’s explanation takes recourse in the concept of the super ego. Rather than warding off an external threat, derealization is symptom of an internal frustration, which “commands [the sufferer] to cling to the external one”; and the internal frustration itself is “a residue of the punitive agency of our childhood” (451). So back further in time Freud goes: beyond the scene of writing as an eighty year old in 1936; beyond his recollections of a trip undertaken at the age of forty-eight, in 1904; back to his childhood, to his schooldays in the 1860s, and back (but of course) to the familial scene, to the figure he refers to, refracted through an anecdote in which he compares himself to Napoleon, in the strangely distanced, formal and foreign, turn of phrase “Monsieur nôtre Père” (456). It seemed to me beyond the realms of possibility that I should travel so far–that I should “go such a long way.” This was linked up with the limitations and poverty of our conditions of life in my youth. Fortunately, and this is the great delight with Freud, he leaves himself open to another interpretation altogether: one that is right in front of his face, if only he’d see it. Freud admits that he himself is now needy and dependent. He lacks the mobility of his youth. He can easily be overtaken. Is not the issue then less his own father, than his position as father, literal and metaphorical, of the movement that he started but can no longer keep up with? Surely there are some revealing turns of phrase here, though one would have also to examine the original German text. The “child analyst,” in English at least, might suggest both that she analyzes children, and that she is herself still (to Freud) but a child, if only in terms of analysis. But is there not some anxiety in the assurance that Anna remains “close at hand”: close because he now needs her close by, to continue his legacy; too close to comfort because it is she who is the future author, catching up on Freud while his own “powers of production are at an end”; perhaps too likely to stray, close now but soon distant, superseding or betraying her father? And metaphorical in that… Well, can we not read this whole tale, and the birthday essay that has accreted around it, as a metaphor for the fate of psychoanalysis itself? Is not the split subject that gazes at the old, split rocks of the Parthenon the split subject of pyschoanalysis? Though Freud starts to discuss “the extraordinary condition of ‘double conscience‘” as a means to understand this condition (453), all too soon he disavows this very concept: “But all of this is so obscure and has been so little mastered scientifically that I must refrain from talking about it any more to you” (454). Freud the little Napoleon chooses silence, repression, because of an anxiety patently about the possibility of losing mastery, about the limits of a method he would like to convince us is in some way scientific. And yet it is precisely this double consciousness that is most startling, most plainly in view in the entire anecdote! Indeed, the entire story would be impossible were it not for the “second person,” whose astonishment at the “first person”‘s derealization functions to insist that his denial is indeed in some way pathological. This second person is on the side of reality, of affirmation, of a literal reading of what stares the analyst straight in the face. And is not this second person, found within the analyst, and enabling his melancholy remembrance, his sad intepretations, the hint of a psychoanalysis that would not be bound to the super ego, to the childhood traumas imposed by a fading father figure? Doesn’t this second person, the other side of Freud’s double consciousness, hold the keys to a schizoanalysis? A schizoanalysis that begins with the “split personality” (453-454) that so shakes Freud and his illusion of scientific mastery that he has to guard his silence and return (oh, once again) to the old mournful tale of fathers and sons, itself only a cover for a still more pathetic anxiety over fathers and daughters? It is double consciousness, which includes the wild, unscientific analysis so feared by Freud, that makes the entire procedure productive, that gives the lie to Freud’s own self-pitying complaint that production is “at an end.” If only it were at an end, thinks Freud; if only he could put a stop to it. It’s so evidently in his face. And yet it is this other side to pyschoanalysis that he is most anxious to disavow. 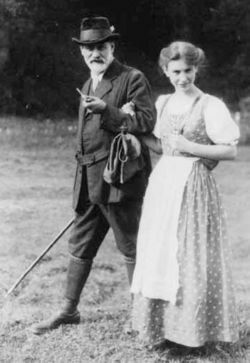 Despite himself, Freud let a genii out of the bottle that still, 150 years after his birth, returns to enliven but also (affirmatively, joyfully, impiously, youthfully playing among the ruins) traduce and betray, supersede and go beyond, the psychoanalytic enterprise that our birthday boy set in motion. Why deny it? For more, check out the naked gaze’s “Obscene Images (1)”. And for other birthday tributes, see Harold Bloom’s “Why Freud Matters”, Paul Broks’s “The Ego Trip”, Will Hutton’s “A time to celebrate, not denigrate, Freud”, or Christina Patterson’s “A Freud for all seasons”. MotherPie offers some feminist commentary and a whole series of links. And here’s Freud’s last living patient. Plus a site dedicated to the anniversary.